But advancements in ophthalmology have made the battle against common eye diseases and conditions simple and effective. Age-related macular degeneration is currently the leading cause of blindness around the world. Myopia, or nearsightedness, is one of the most common eye diseases and conditions. Mypoia impairs distance vision. Objects up close, like a computer screen, are in focus. Objects faraway, like street signs, look blurry. Factors that contribute to myopia are eyes that are too long from front to back, corneas that are too sharply curved, or lenses that are too thick. Hyperopia, or farsightedness, means that objects far away are more in focus than are nearby objects. The causes include eyes that are too short from front to back or problems in the corneas or lenses. If the hyperopia is bad enough, it can blur vision for both near and far objects. Astigmatism distorts your vision at all distances. It’s caused by irregularities in the curve of the cornea (corneal astigmatism) or the lens (lenticular astigmatism). This causes light to focus unevenly on the retina, blurring and distorting images. Presbyopia is the most common change in the aging eye. It impairs the ability to see close-up objects and to read small print. As the eye ages, the lens becomes stiffer and less able to change shape to focus images properly on the surface of the retina. Amblyopia, or “lazy eye,” is the most common cause of impaired vision in children. In amblyopia, one eye moves from side to side or doesn’t see as well as the other. The brain then favors the “good” eye. Lazy eye may develop when the myopia, hyperopia, or astigmatism in one eye is worse in one eye than the other. Strabismus, or “crossed eyes,” is a misalignment in the positions of the eyes. The eyes may cross (esotropia) or angle outward from each other (exotropia). Because vision is not coordinated properly, strabismus can cause double vision. Age-related macular degeneration (AMD) is a progressive eye disease that damages the part of the eye that provides clear central vision. Glaucoma damages the optic nerve, which relays visual information from the retina to the brain, and leads to vision loss and blindness. Glaucoma is often, but not always, associated with abnormally high internal eye pressure. Cataract is clouding in the lens that impairs vision and is the leading cause of vision loss in the world. The standard treatment is removing the cloudy lens and replacing it with an artificial one. Diabetic retinopathy is a common medical complication of diabetes. 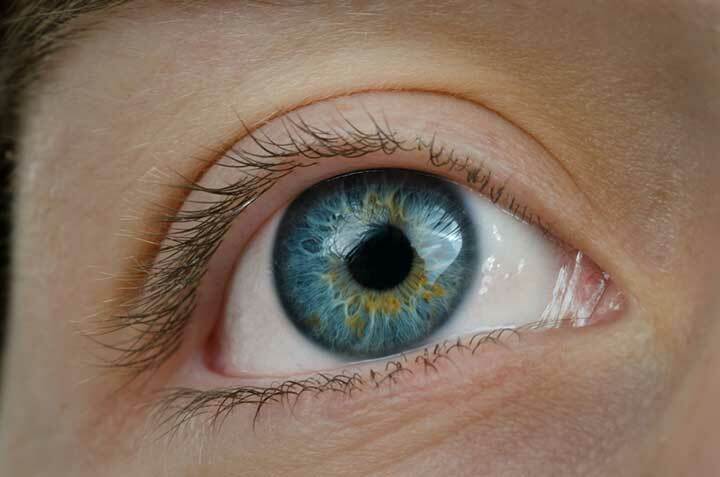 Chronically high levels of glucose (sugar) in the blood damages blood vessels to the retina. The common vision-damaging complication of diabetic retinopathy is diabetic macular edema, a buildup of fluid in the small central region of the retina (macula) that provides vision for details. age related macular degeneration, aging, amd, astigmatism, brain, cataract, children, common eye diseases, diabetes, diabetic, diabetic retinopathy, edema, eye conditions, eye diseases, eye pressure, glaucoma, glucose, macular degeneration, macular edema, most common eye diseases, optic nerve, presbyopia, retina, sugar.